You must have a deep understanding of your industry or audience in order to provide meaningful and unique content. 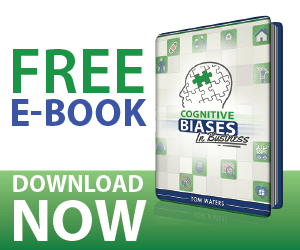 “See Cognitive Bias in Business” by Tom Waters for a massive list of business principle used to build brand associative awareness. All you need to start is one “Aha” moment to introduce to your client that can be reinforced in their day-to-day to help build awareness of your expertise.